Mark Fields: Declined to comment on the prospects of Lincoln getting a small car. 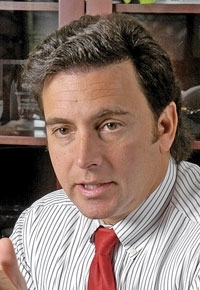 DETROIT -- Ford Motor Co. may consider selling its luxury Lincoln brand outside of North America, Mark Fields says. “Potentially, but we are focusing Lincoln here in North America for right now,” Fields, Ford's president of the Americas, said at the Detroit auto show. Selling Lincoln overseas would fill a void created by Ford's shrinking luxury portfolio and help rebuild the brand after U.S. sales fell to a 28-year low last year. Ford, for example, will lose its luxury presence in China, a fast-growing market, when it completes its planned sale of Volvo. Jaguar and Land Rover, divested by Ford in 2008, also sell in China. Addressing another Lincoln topic, Fields declined to comment on the prospects for the brand getting a small car. At the show yesterday, Lincoln unveiled a redesigned MKX crossover, which goes on sale this summer. No price has been announced. Lincoln's U.S. sales fell 23 percent to 82,847 units last year, its lowest total since 1981 and down almost two-thirds from a peak of 231,660 set in 1990.